ladies and gentlemen, start your SAD lamps. If you get the slumps and grumps when the weather turns gray and dreary? You should seriously consider using a SAD lamp. This will be my third winter with one and I can’t imagine waking up without it each morning. This is the exact one I have, and it was worth every darn penny. The negative ions smell a little funny when they are on, but I don’t use them often so it’s really no big deal. I keep it right at the side of my bed and turn it on as soon as I wake up. It stays on for 30 minutes (it’s on a timer) and while it’s on I horizontal tweet, read on my Kindle or just stare at it. Other people eat breakfast in front of theirs, if Vivi could control her oatmeal I would eat in front of mine as well. What’s most important is that you use it, and use it regularly. Promise you’ll notice a difference. Halloween went really well, see? 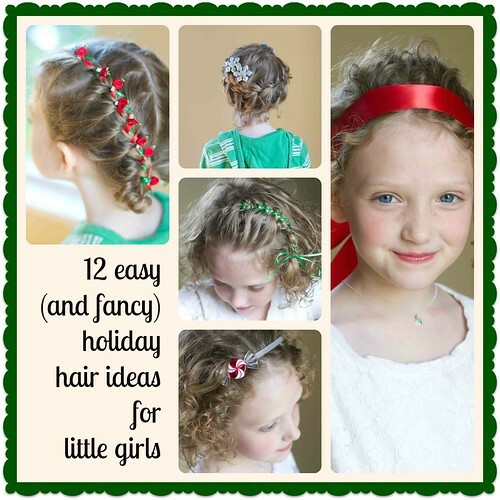 While we’re on the subject of adorable…I was asked to do a holiday hair guide for little girls. I worked really hard on it and my darling Addie stuck with me (and let me stick her with bobby pins) through the whole thing and I’m really happy with how it turned out. I’d be tickled if you’d take a look at it and if you’re a pinner, give it a little pin. Thank you. While I am feeling the looming doom of winter coming, I’m doing really well, when you’re surrounded with these two? You can’t help to feel a little sunshine no matter what the weather is outside. 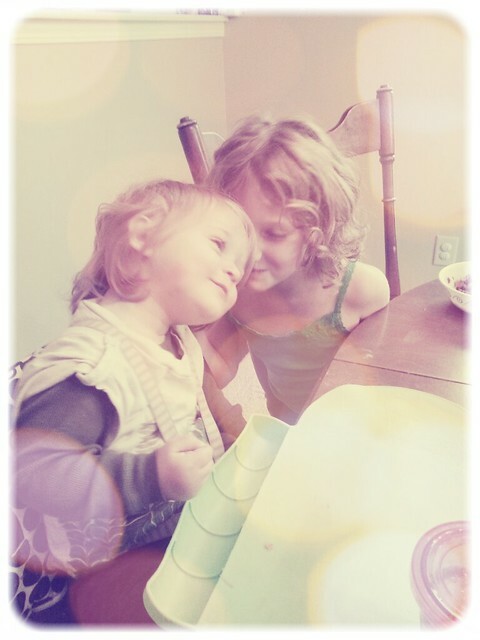 You girls are so so precious. And may this winter be your best yet! @Anna Hettick, Thank you, they are lovely little creatures. Interesting you should mention the SAD lamp. 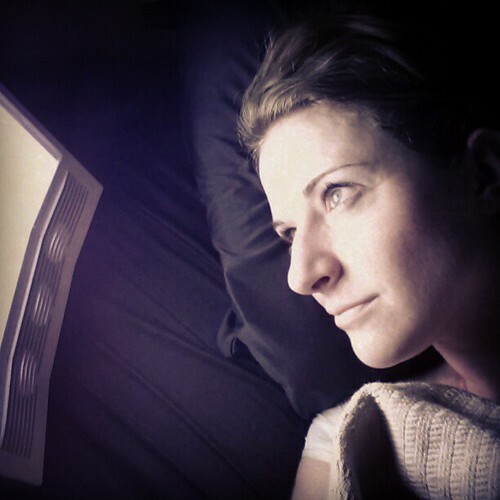 My depression has been *very* bad the past week…and I’ve wondered if a SAD lamp would be helpful. In the mean time, Abilify also does wonders for me! @Katie, Get the lamp! Also take some Omega 3.6.9 if you can. Question, how do you get your meal mat to stick to your table? I bought one for my son because of your Babble post, but it won’t stick, so we are taking it back. Love the concept and you make it look amazing! haha. Whew. I am slightly overwhelmed. So much going on in my life right now…not really feeling adaquate to handle any of it. I’m intrigued by this lamp. I never thought of getting one. I think my mom gets SAD really bad and I’ve been battling depression on my own for something like five years. I guess I’d just feel weird, being at college with a weird lamp in my room I probably can’t afford. Does it really help??? @Sarah, It really does help. And even when I’m just working and it’s dreary outside I’ll turn it on because it is SO BRIGHT. It’s nice to have access to brightness sometimes when it’s so so dark and gloomy outside and in the rest of my house. There’s also much smaller, more affordable and more discreet versions available as well. @Casey, I’ll have to look into it. Thanks. Not a whole lot of people even know that I struggle with this, including my family, so it helps to have someone to learn from. You know? Anyway, I appreciate it. Can we get another curl product recap past? Struggling to find a product that isnt too heavy or crunchy for my 2 year olds curls. I find it will look great at first but after rewetting it post nap/bed a time or two it gets crunchyor something. I dont know, i straighten my curls so trying to embrace hers are a challenge! @Casey!, Ooh, current favorite is BedHead Curls rock. But there is a very specific way to put it on, or at least the way I put it on. Perhaps I’ll do a video, that would make much more sense, yes? A video would be awesome! I seriously lay in bed at night stressing about her hair! Ha! If she didnt nap, ride in a carseat, etc I know it would look so much better but those things are here to stay for a bit so I just do the best I can to not have her look like a ragamuffin! @Casey!, Yeah, sometime sweat is the very best thing for little curly headed girls. They are both SO adorable in those costumes, and I’m glad you’re still feeling the sunshine. I totally believe your SAD lamp is worth every penny, but as I’m not really rolling in pennies (dangerously close to writing “penises” there, which ahem is also true but neither here nor there) these days, so I think I’m going to pick up some cheap-y SAD light bulbs in the meantime. Do you use those as well? I might give them a try, and if they don’t give me enough happy feels, then I’ll probably give the lamp a try. Glad you’re doing well, Casey. @aly, I’ve never used them, but I’ve considered them. SOMEONE picked out some really dull overhead lights when she chose the lighting in her new house. SOMEONE has been placing lamps everywhere to remedy the situation. Thanks for this product recommendation! I’ve been struggling with depression on and off for years, and in the past six months it has gotten a lot worse. I was really dreading going to the doctor and talking about upping medication or even changing medication AGAIN, so I’m happy to have another option! @Kassandra, Well, I do have to say that I need my medication more than anything else, but the lamp certainly helps take the edge off when there is no sunshine to be had. My meds are a must, too. It was hard for me to accept that once upon a time, but myself and I have finally come to an agreement that my body needs them and I am a much better person with them! Winter is still the pits though, and since moving to Florida isn’t an option, a SAD lamp may be the next best thing. @Kassandra, Dude, there’s still days I hate that I have to take a pill to function. But I’ve become okay with it, most of the time. You have incredibly delicious, amazing children! Those pics alone blew the gloom away! Thank you for always being so caring and thoughtful – you are a precious and beautiful gem, just like your children! Your girls were so cute! 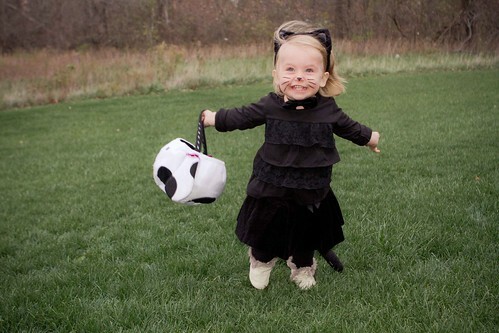 Toddlers in costume are one of my very favorite things. @Karen, I could never live in the NW, I’d have to have a SAD house and work! Every light bulb would be bright and Natural!! ahhh, I’d definitely have to up my meds! Vivi looks SUPER excited for Halloween! Your girls are adorable! Also, I might check into the SAD lamp, my mom gets SAD pretty bad and I’ve been a little blah this year myself. Can’t hurt to try it! 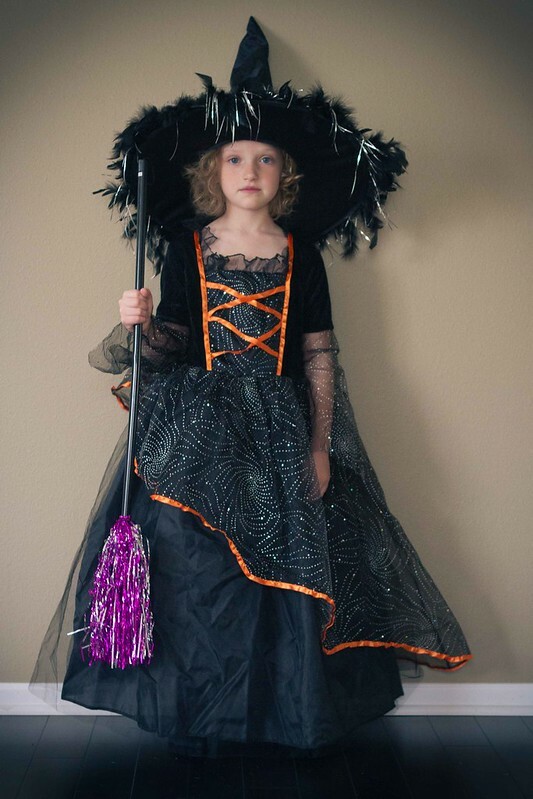 @KaraB, If Vivi thought Halloween was awesome, Christmas will pretty much blow her mind. Good luck if you do try the lamp! Oh and guess what?! I adopted a 6 year old kitty. I’m over the moon in love with her (and of course wrote a post about it). As always, your girls are beyond adorable. They really are the best, sunshine is a close second. I am really good, but definitely finally considering the lamp. I guess where we moved it can be really dreary and most people go to tanning beds to help their moods! @Stephanie Precourt, Yes! Tanning beds! But I figure why risk cancer when you can just sun yourself at home without the whole pesky cancer side effect thing? I just bought the lamp based on your recommendation! I read that Dooce uses one too, and I was thinking about it. Then my husband started really feeling down, and I know the dark days will start bothering me soon. So, just bought it and I know we’ll all use it! Thanks for the recommendation!